Avengers: Infinity War is coming fast and with it are new details about the upcoming sequel. The flick takes place four years after Guardians of the Galaxy Vol. 2. The Avengers are torn apart following the events of Captain America: Civil War. The main villain for the film is the intergalactic despot Thanos who comes to Earth to collect the Infinity Stones he needs to complete his gauntlet. The Infinity Gauntlet allows him to bend reality to his will. The Avengers come together along with most of the Marvel Cinematic Universe to from destroying the universe. Anthony and Joe Russo - known as the Russo Brothers - are directing the movie and have teased some new details. Marvel released a "100 days" teaser trailer and they shared it on their Instagram account. Interestingly in the lower right-hand corner is a time stamp that counts down from 00:59:59:12. Is this a clue to the length of the next trailer? Could it be coming up during the next Super Bowl on February 4, 2018? It makes sense. Marvel released a trailer for The Avengers during Super Bowl XLVI and they've released trailers for "Guardians of the Galaxy Vol. 2" and Captain America: Civil War during the Super Bowl too. So expect the Avengers 4 name title reveal after the movie opens. Presumably it has a spoiler in it. 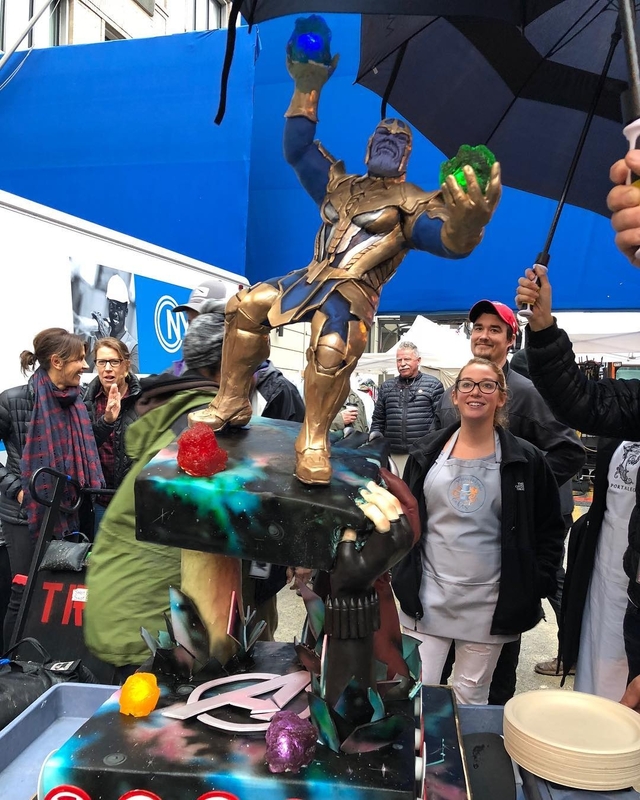 Finally, they shared a picture of the amazing wrap cake after Avengers 3 finished filming. Check back for more news, updates, and hype for Marvel’s Avengers: Infinity War from the Geek Twins! Are you looking forward to Avengers: Infinity War? What do you think they should call the sequel?